A pair of serious Cape Coral motorcycle crashes killed one man and seriously injured two others over the weekend. 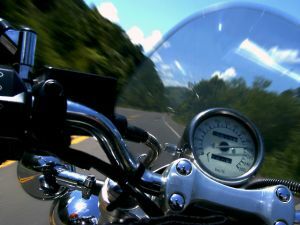 Florida injury lawyers remind motorists to use extra caution around motorcycles in an effort to avoid the tragic consequences that too often result from motorcycle accidents. Ronald L. Johnson, 53, of Cape Coral, died Friday night from injuries suffered after his Harley-Davidson motorcycle was struck from behind by a car, according to a report in The News-Press. Johnson had slowed his motorcycle for a yellow light on Del Prado when the car behind him failed to stop. The impact threw Johnson from his motorcycle. The newspaper said Johnson’s death was the second fatality in Cape Coral this year — both fatalities were the result of motorcycle accidents. Two other Cape Coral residents were injured in a Sunday night crash on Pine Island Road. A 20-year-old man was taken to Lee Memorial Hospital with life threatening injuries. His 18-year-old passenger was seriously injured after their motorcycle was struck by a passing car driven by a 16-year-old girl. Respect the motorcyclist: Give the motorcycle a full lane to travel and remember motorcycles have all the rights and privileges of any vehicle on the roadway. Look Out: Look out for motorcycles on the roadway, at intersections, and when a motorcycle may be signaling a left-hand turn. Clearly signal your intentions. Anticipate a motorcycle’s maneuvers: Predict evasive actions. Potholes and debris you may ignore could be deadly to a motorcyclist. Allow plenty of space: Don’t follow a motorcycle too closely. Allow plenty of room. While any traffic accident can be serious, getting into an accident with a motorcyclist is often deadly. Give them plenty of room and yourself plenty of time to react — it’s in everyone’s best interest. If you or someone you love has been injured or killed in a motorcycle accident, there are certain things you can do to help protect your rights. Our personal injury and wrongful death attorneys offer free appointments to discuss your rights at any of the firm’s offices conveniently located throughout Southwest Florida, including Fort Myers, Cape Coral, Naples, Arcadia, Port Charlotte, Venice and Sebring.